The generously proportioned ensemble consists of several modules attached close together to create a solution with a one-piece fitted look. 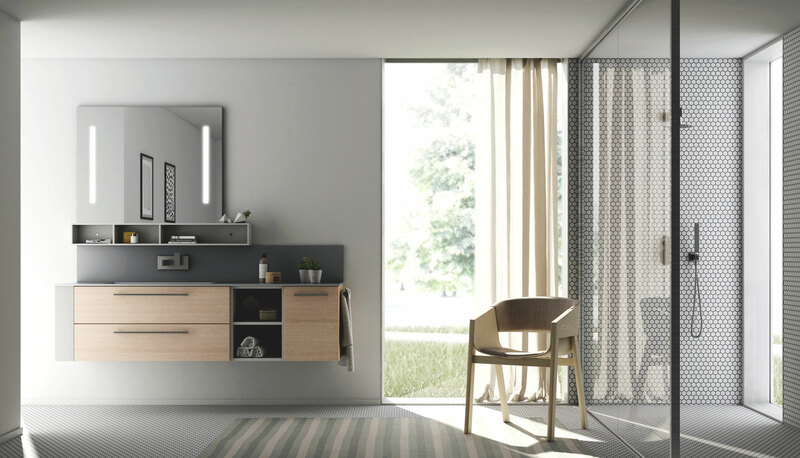 The wall-mounted vanity is topped with an upstand and countertop made from Deimos® – an evolution of Tecnoril® – with open shelving above in a light grey matt lacquered finish and, above that, the mirror with built-in lighting. 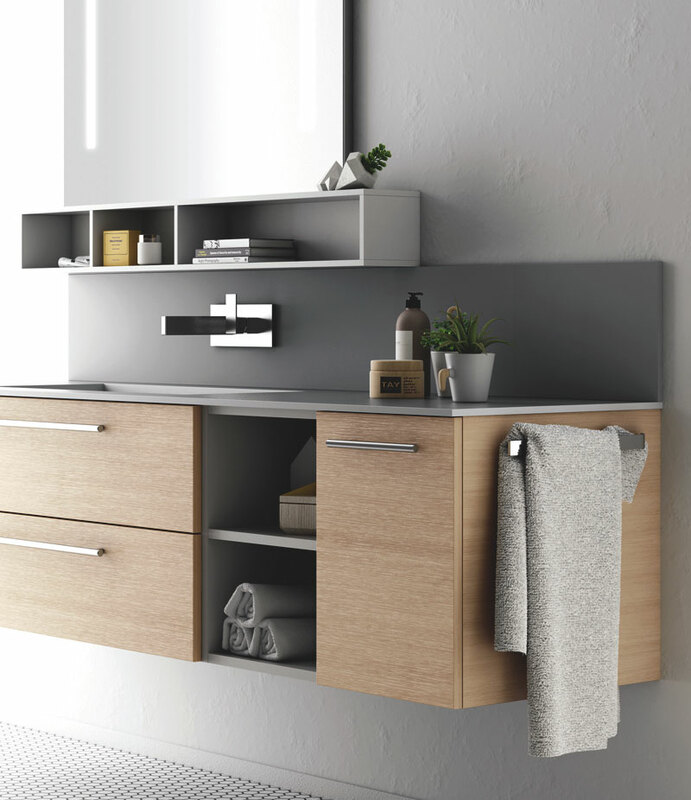 The oak on the door and drawers is in a light colour to highlight the natural-wood-effect grain, thus creating a contrast between this porous surface and the glossy surface of the light grey matt lacquered section. 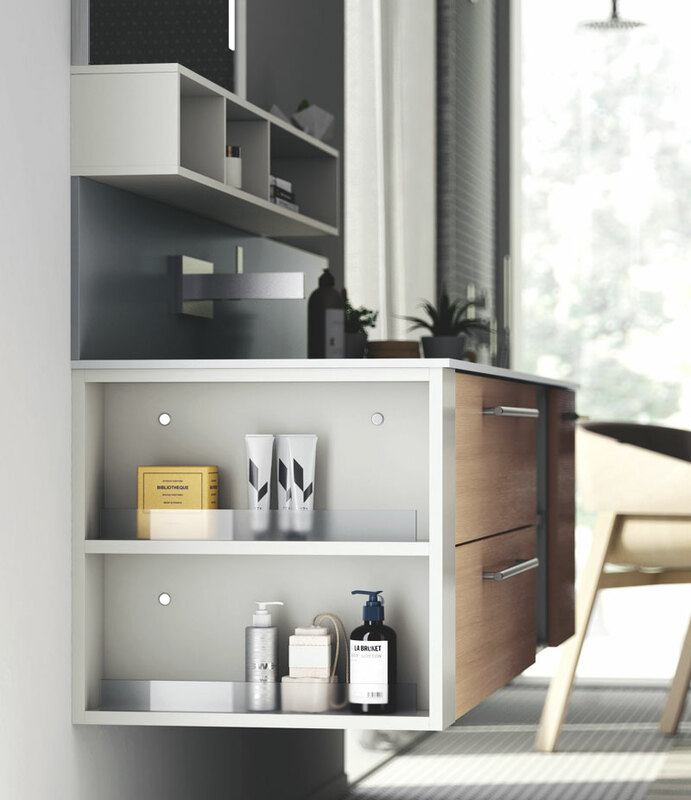 The wall-mounted vanity features open shelving on one end with both display shelves edged with a practical protective low panel of translucent glass. There is plenty of storage here: from ample counter space to open shelving on the front of the vanity and the shelving unit hung above the basin, in addition to the open shelving finishing off one end of the wall-mounted vanity, while a practical towel rail adds the finishing touch to the other.